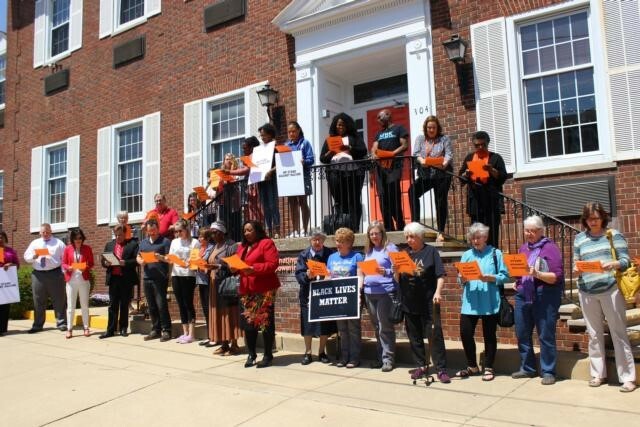 Eliminating Racism is at the heart of YWCA of Alton and throughout our Racial Justice Programs and Events, we aspire to function as an educator and a convener to address and end racism in our communities. YWCA of Alton aims to provide the community with the tools necessary to facilitate conversations about racism and discrimination, and the resources needed to create solutions to conflict. We believe that an enhanced understanding of racial justice issues will promote peaceful relationships and will create a safe, nurturing environment in which all members of our community can thrive. Individual Racism takes the form of individual attitudes, beliefs, values, and behaviors. Some examples of racist attitudes are racial prejudice, belittling, jealousy, and bigotry. Examples of racist beliefs are racial stereotypes, the belief that some races are better than others and even include the belief that people can be classified according to race in the first place. Institutional or Systematic Racism takes the form of the practices, customs, rules, and standards of organizations that unnecessarily disadvantage people because of their race, color, or ethnicity. They do not always involve differences in treatment. Educational requirements that are not related to actual job duties are one example. Add your voice in issues critical to women and their families. Help others understand the importance of racial and gender equality. Join the Social Justice committee and make a difference in your community. Get involved. Join the Racial Justice Committee. Attend a YWCA Racial Justice Event. The Racial Justice Committee is comprised of YWCA of Alton Board members, staff, and community members. 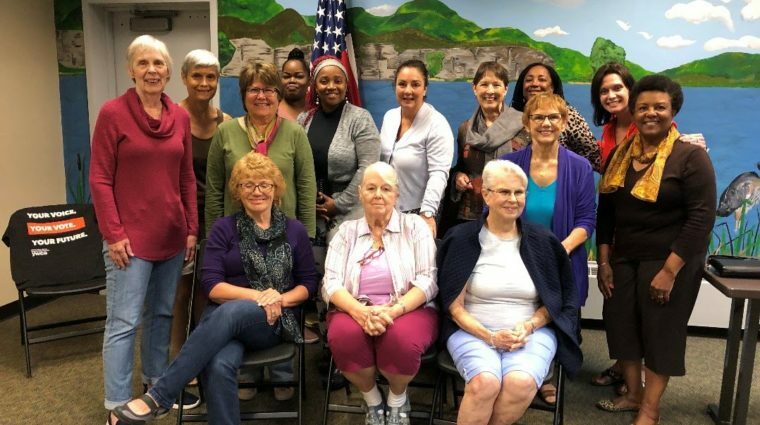 This committee serves as a coordinating and support group for YWCA of Alton racial justice efforts and promoting awareness of local and national issues related to racism. Meetings are held at YWCA of Alton. Dates and times vary from month to month and are set by Committee members. The Racial Justice Committee sponsors numerous events throughout the year most recently including the Mother 2 Mother group, a division of the Ethics Project, St. Louis, involving a Conversation with Black Mothers to White About “The Talk” With Their Black Sons and a showing of the 2016 documentary “13th” directed Ava DuVerney, titled after the 13th Amendment to the United States Constitution, which explores the intersection of race, justice and mass incarceration in the United States. For more information on the Racial Justice Committee or to become a Committee member, please contact YWCA of Alton at 618.465.7774. YOU have the power to make a difference. Stand Against Racism is a signature campaign of YWCA USA to build community among those who work for racial justice and to raise awareness about the negative impact of institutional and structural racism in our communities. Stand Against Racism is also a call to action for individuals to create change through action in their own lives and their communities. Numerous schools including Lewis and Clark Community College and Alton Community Unit School District #11, area businesses and YWCA of Alton conducted Stands during 2018. 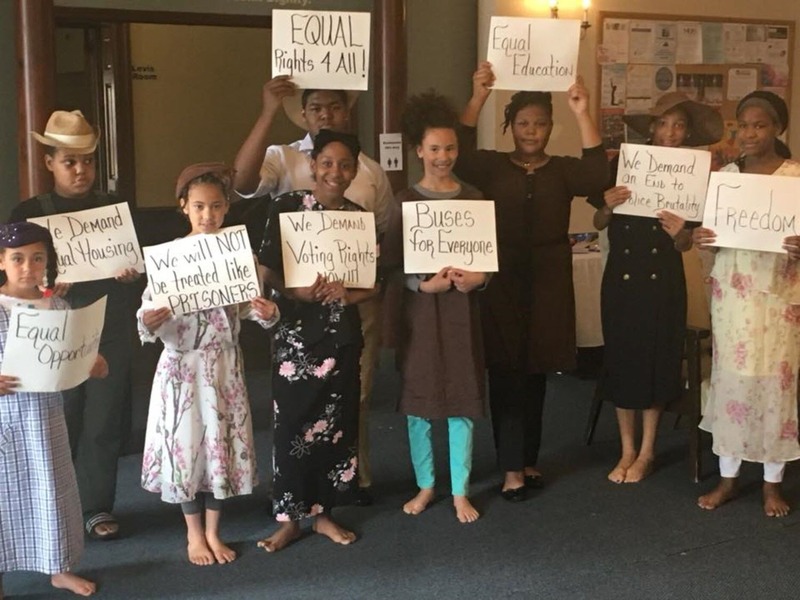 Twenty-three area businesses took a Stand Against Racism by posting WE STAND AGAINST RACISM signs in the windows of their businesses or conducted individual STANDS at their locations and at the Lincoln-Douglas Square in downtown Alton. 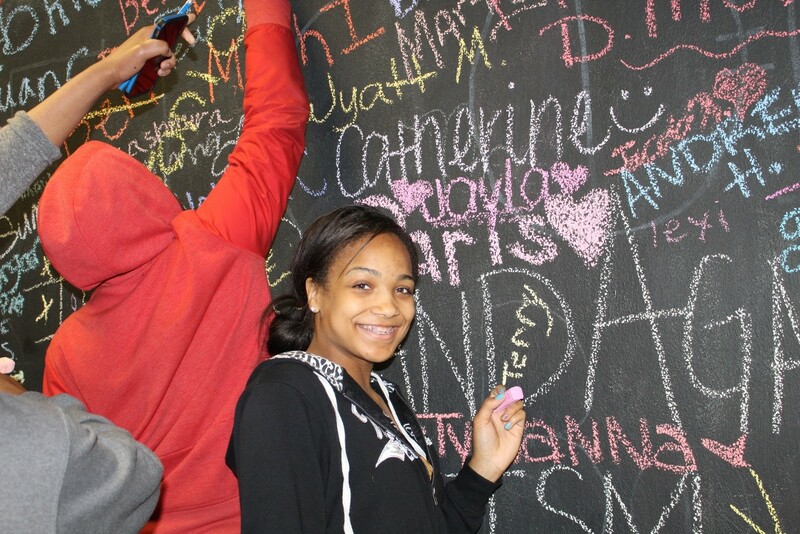 Alton High School, led by efforts from Ashlynn Green, YWCA of Alton Board Member, held a Mix It Up Lunch Day and participated in the Stand Against Racism. 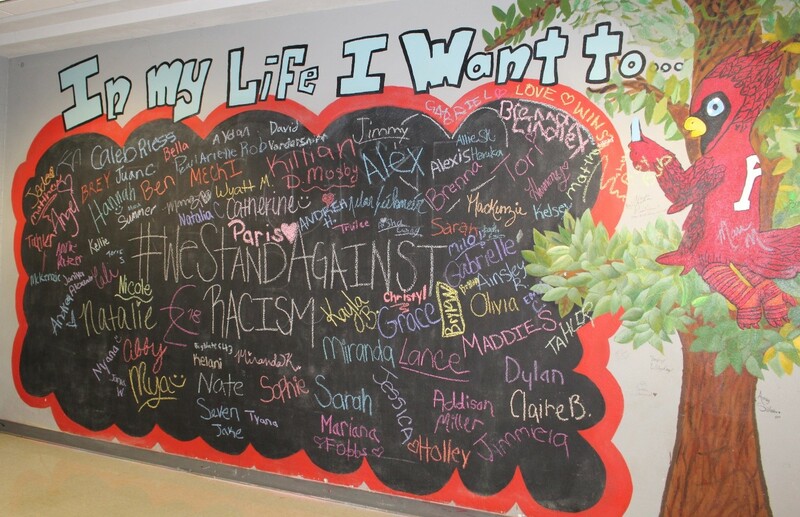 In addition, Alton High School students stood in solidarity against racism by signing their names to the “In My Life I Want To . . . Stand Against Racism” board. Check back in early 2019 for details on the next YWCA of Alton Stand Against Racism. Help us fulfill our mission to eliminate racism by joining us as we Stand Against Racism. YWCA of Alton believes that fighting racism is more important than ever. It starts with recognizing our country’s long history with racism and its impact on our systems, structures, and institutions. If we want a just, peaceful society, it is our mutual responsibility to address racism. The Race Against Racism funds YWCA Alton’s Racial Justice programs and supports those who seek peace, justice, freedom and dignity for all. 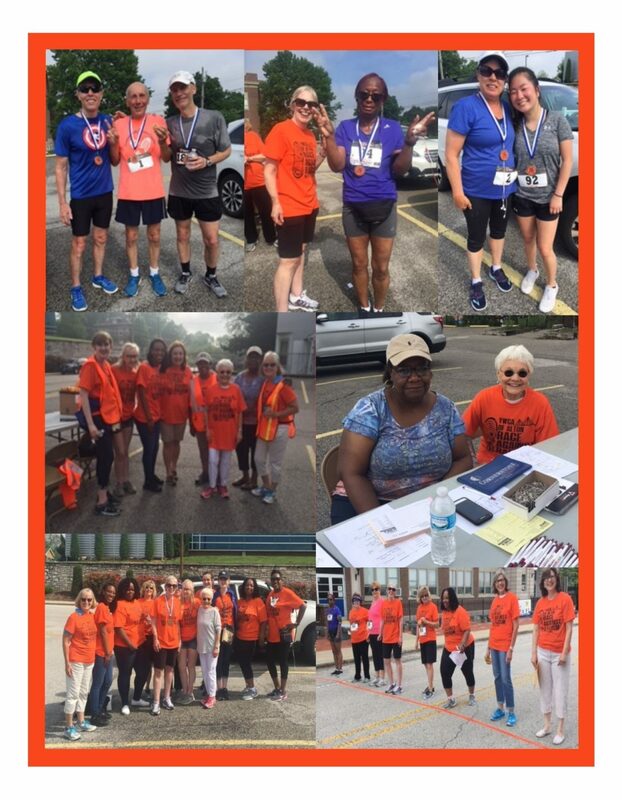 YWCA of Alton’s first Race Against Racism was held on Saturday, May 19, 2018 and included a 5k run and 2 mile walk for adults and children throughout the historic Middletown neighborhood in Alton. The 5K run/ 2 mile walk kicked off at 9 a.m at the intersection of 4th Street and Alton Ave. in downtown Alton. Participants received race t-shirts, free doughnuts donated by Duke Bakery, and water donated by Argosy Casino Alton. The 2018 Race Against Racism sponsors included Arch View Flooring, IlliniCare Health, Morrissey Contracting Company, Inc. and Phillips 66 Wood River Refinery. Check back in early 2019 for details on the next YWCA of Alton Race Against Racism.